In the middle of Penobscot Bay, Maine lies a group of islands known as the Fox Islands, the largest of which is Vinalhaven. Settled during the 1700’s the main occupation of the residents was fishing the local waters, however during the early 1800’s the islands granite industry flourished. Granite quarried on Vinalhaven was used in the construction of public buildings throughout the United States. 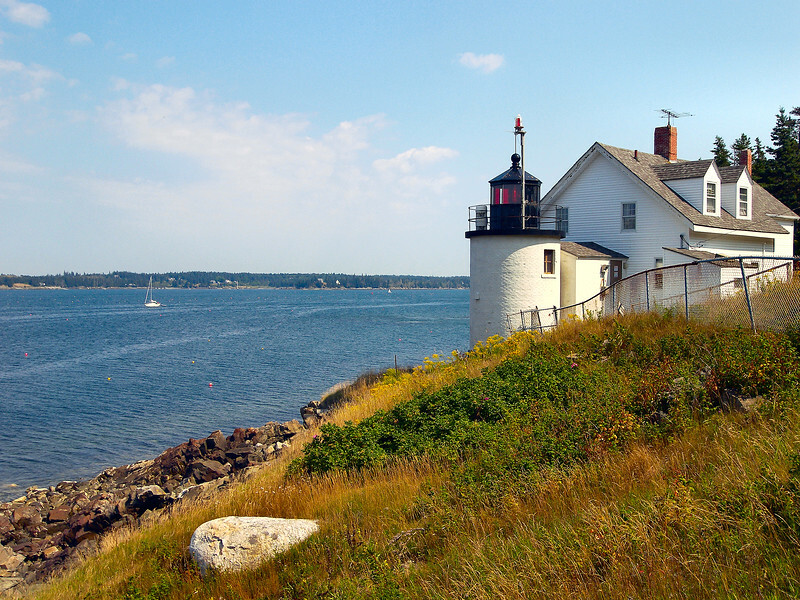 In response to the increased shipping it was decided to build a lighthouse to mark the entrance to the Fox Islands Thorofare between Vinalhaven and North Haven islands.